Erotically charged adult fable from bestselling Italian novelist. 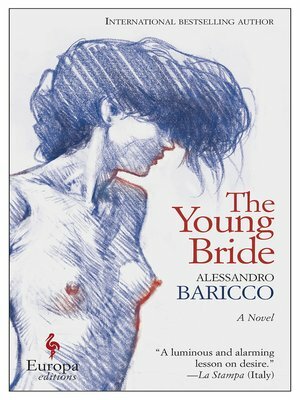 The Young Bride is a scintillating and sensual novel about a young woman's ingress into a fantastically strange family. The hand of the young woman in question has been promised to the scion of a noble family. She is to make her preparations for marriage at the family's villa, where the inhabitants never seem to sleep. The atmosphere turns surreal as the days pass and her presence on the family estate begins to make itself felt on her future in-laws. Internationally bestselling novelist Alessandro Baricco portrays a cast of mysterious characters whose lives and every act seem to exist beyond the rules of causation as he tells a story about fate and the difficult job of confronting the Other and creating an Us.